This is my first real attempt at using PixInsight to process decent data, not going back! M27 was an afterthought the night this was captured (2013-06-07), and I'm glad I grabbed 5 quick frames. 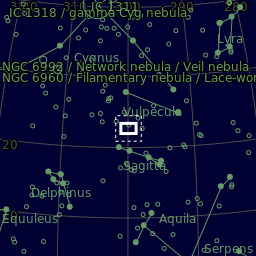 This very bright planetary nebula is visible in binoculars even in semi light-polluted skies.